JMTW tour in China, 2008. JMTW is deeply committed to presenting its unique artistry to people of all different locations and backgrounds. The company has performed at major theaters and festivals worldwide, spanning hemispheres from Buenos Aires to Montreal and circumnavigating the globe from Shanghai to Moscow, with performances in Madrid, Rio de Janeiro, Bangkok, Tel Aviv, Rome and Amsterdam to name a few. Some international festivals have included: Brazil’s Festival Internacional de Dança de Fortaleza, Beijing International Theater & Dance Festival, Bangkok’s International Festival of Dance and Music, and Bolivia's Internacional de Teatro Santa Cruz de la Sierra. In 2016, appearances included Harbin Grand Theatre, Tianjin Grand Theatre and Beijing’s National Centre for the Performing Arts. 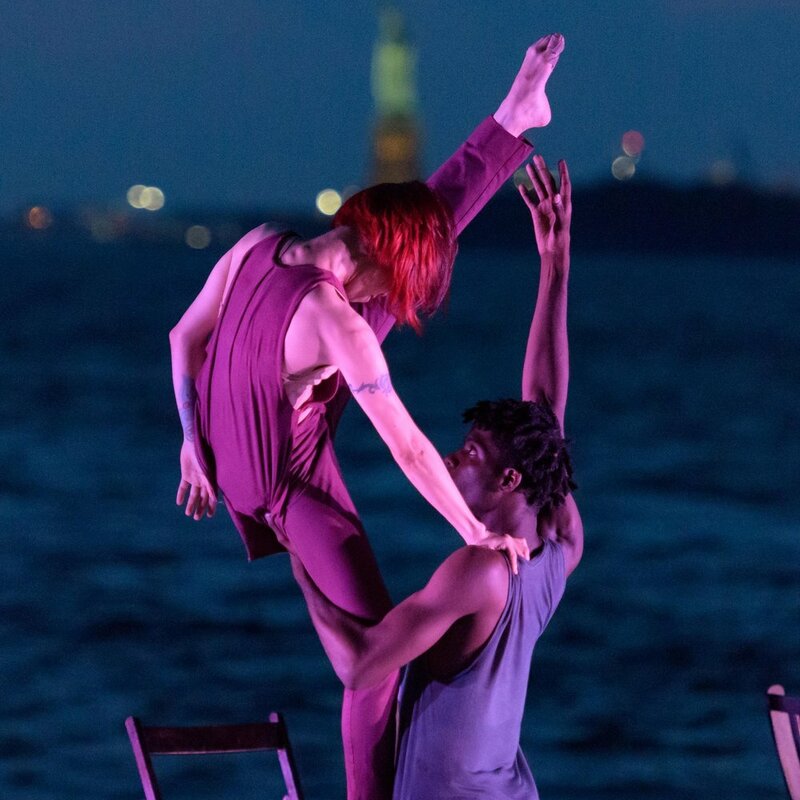 The company has also performed at major US festivals including Jacob's Pillow, American Dance Festival, Spring to Dance, Bryant Park Festival, Battery Park Dance Festival, and Central Park Festival. Other major engagements have included performances at the Kennedy Center, the Lincoln Center, David H. Koch Theater, Ailey Citigroup Theater, the Jacob Javits Center and the United Nations. JMTW has self-produced 26 NYC seasons at such venues as New York City Center, The Joyce, Cedar Lake, New Victory Theaters and New York Live Arts. Annually, the company performs at 15+ varied locations around New York City. For more information, please be directed below to our various touring/performance offerings. Area Performance Project presents The Works' artistry in both traditional and non-traditional venues throughout New York City. The company visits approximately 15 venues each year. The program's main thrust is to extend past an exclusively proscenium theater environment to offer presentations in locations where people work, gather and play, thereby reaching a diverse audience inclusive of all walks of life, cultures and ages. HATCH Presenting Series enables emerging and established choreographers to investigate new work, present works-in-progress and engage in dialogue with the audience, free from financial pressure and the scrutiny of critical response. For more information regarding touring within the United States or for international tours. Please follow the link above.